Pillow cases have piping along the open end of the case. 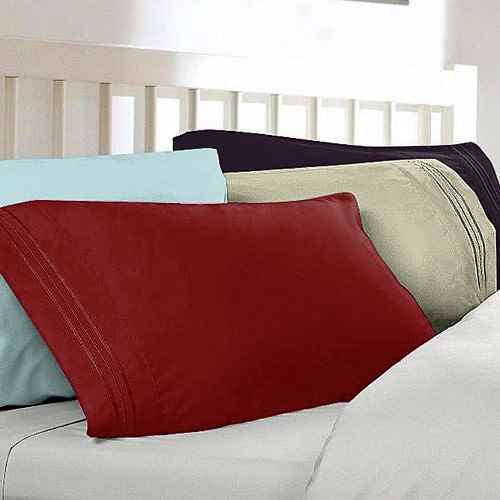 These are French seam pillowcases that have an open end to tuck the pillow in like an envelope. The exact same 1800 Thread Count Softness as the sheets.